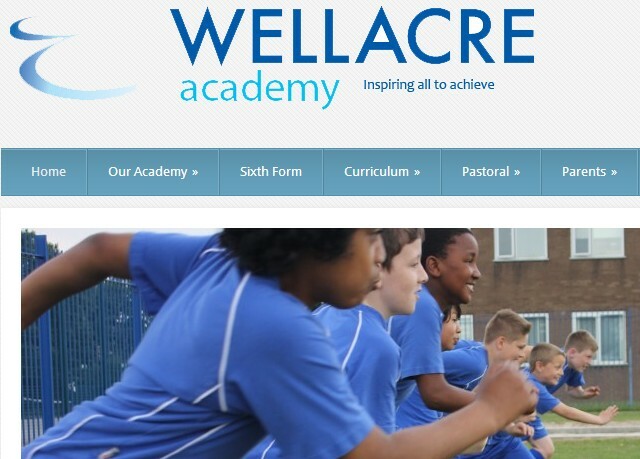 Wellacre Academy is a Secondary school in Manchester England. Situated in Trafford, amid spacious and well planned grounds overlooking the fields of the Mersey Valley, we are a popular 11-16 boys school with a co-educational Sixth form and approximately 1100 students. As a ‘High Performing Specialist School’ we opened a state of the art £7 million, 300 place co-educational Sixth form in September 2009. September 2010 saw the opening of our £0.5 million Ecology Centre which is further enhancing the learning opportunities for our students.